Right on our doorstep – one of England’s finest Jacobean houses, still in family ownership after more than 400 years. 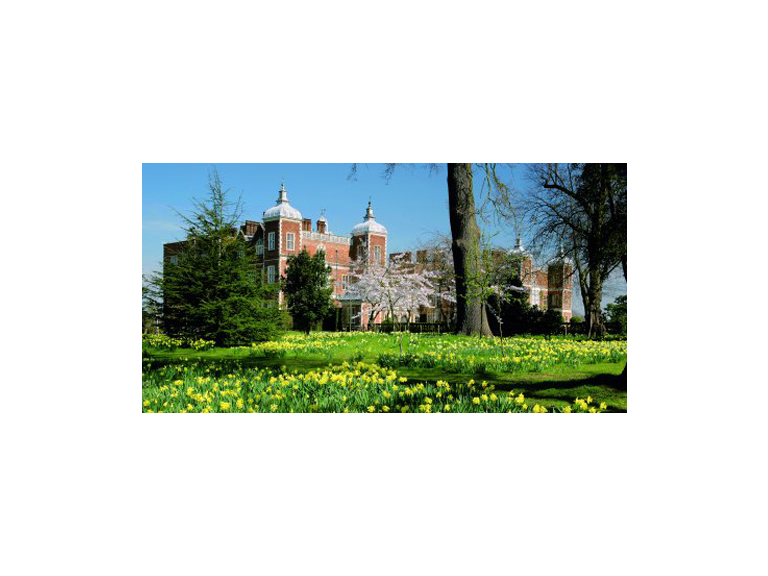 There is something for everyone to do at Hatfield House. Haven’t been yet? It is one of the Treasure Houses of England, ten of this country’s finest houses, palaces and castles – alongside places such as Blenheim Palace, Chatsworth House and Leeds Castle. For those interested in history and architecture: Built in 1611 by Robert Cecil, 1st Earl of Salisbury, the house is renowned for its Jacobean craftsmanship – as seen with the finely carved grand staircase and beautiful stained glass window in the private chapel. The Cecils have been one of this country’s foremost political families and the house has welcomed many royals over the centuries – the newly restored russet and gold ceiling over the grand staircase was decorated for Queen Victoria’s visit to Hatfield in 1846, although the house is perhaps most famous as the place where, on November 17th 1558, Lady Elizabeth Tudor learned that she was to become Queen of England. Even older is The Old Palace, which dates from around 1485 and is one of England’s best examples of medieval brickwork and incredibly still retains most of its original roof timbers. For film buffs: The house and gardens have been the setting for many films. Just 20 miles north of London and not far from Elstree and Pinewood Studios, the house and grounds have been seen in more than 30 well-known films, ranging from Harry Potter and the Deathly Hallows (Part 2), Shakespeare in Love, The King’s Speech, Batman, Tomb Raider and Charlie and the Chocolate Factory. For garden-lovers: the gardens were planted back in the early 17th Century with flowers, trees and bulbs brought back from all over Europe. Visitors can wander through the famous knot garden, playground of the young Elizabeth 1, the sundial garden and fountains, with its unique timepiece created to mark the 400 year anniversary of Hatfield House, or take a stroll through the west garden on into the adjoining woodland garden, which is at its best in spring with thousands of daffodils and bluebells. For children: in Hatfield Park, children have the choice between an adventure playground, called Bloody Hollow! (the name refers to the natural bowl in which the playground sits and dates back to 1723), with its swings, see-saw, rope swing, tree house, aerial runway and model of Hatfield House, or a visit to thenew farm, Homeland Farm, where children can feed the traditional breeds of sheep and goats, and see ducks, geese, turkeys and woolly pigs. In spring they can watch the lambing and in summer the sheep shearing. For walkers: there are 3 marked walks through the extensive grounds of the estate, ranging from 1 to just over 3 miles. Maps are available. For a morning out: the independent shops in the refurbished Stable Yard and the excellent Coach House café/restaurant make for a nice morning out on their own. Look out for special events, craft fairs and antiques markets. Stable Yard and the Coach House have free parking and are open independently of the House. The house, park and gardens are open spring through to autumn. The Stable Yard, Coach House restaurant, playground and farm are open all year – but please check the Hatfield House website for opening hours http://www.hatfield-house.co.uk/content.asp?id=7&Visitor-Information.